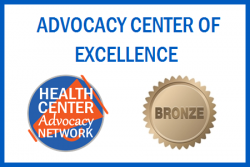 Cassopolis Family Clinic Network (CFCN) is an independent, Federally Qualified Health Center providing primary care, obstetrics and gynecology, dental, behavioral health, pharmacy, and healthcare enrollment assistance services for the communities of Cass and southeast Berrien Counties, Michigan. 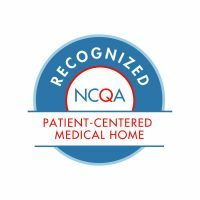 A patient-centered medical home, CFCN provides services for people who are uninsured, underinsured, covered by Michigan Medicaid and Medicare, along with most commercial insurances. CFCN began serving the community in 1964 with the mission to provide compassionate healthcare. Today, CFCN cares for nearly 13,000 patients annually between 5 locations in Cassopolis and Niles. Cassopolis Family Clinic Network is an FTCA Deemed Facility. Medical malpractice coverage is provided under the Federally Supported Health Centers Assistance Acts (FSHCAA) of 1992 (Pub. L. 102-501) and 1995 (Pub. L. 104-73). Nondiscrimination Statement: Cassopolis Family Clinic Network is an equal opportunity provider and employer. Click here to see the full Nondiscrimination Statement.